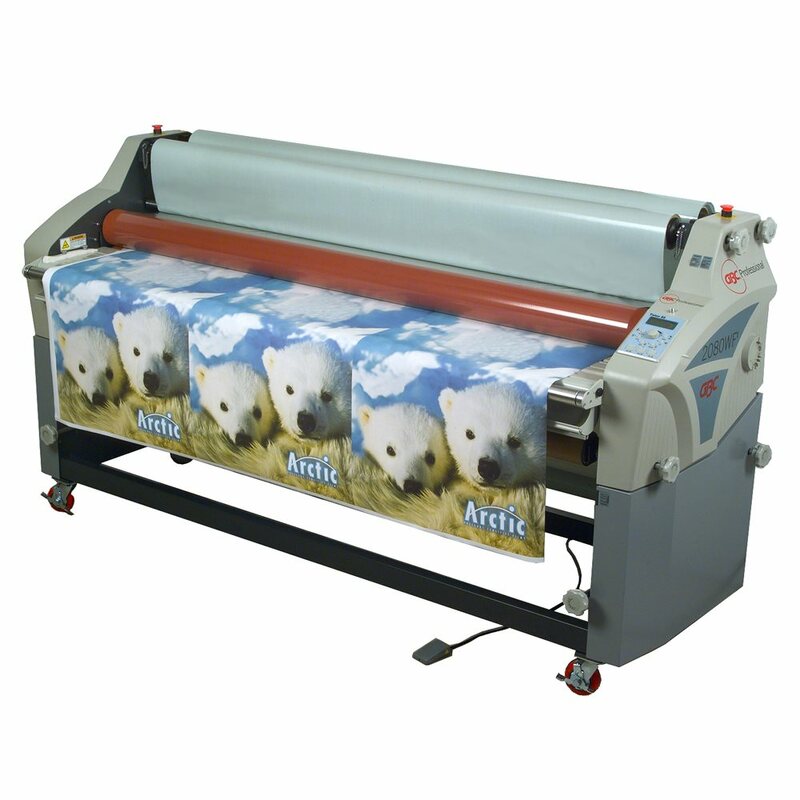 Top heat laminator for pressure sensitive and mounting applications, handles film up to 79". Features the industry's first truly safe electronic eye utilizing GBC's patent-pending Dynamic Braking System. The nip roller stops immediately when the beam is broken to provide a safe system without the inconvenience of a safety shield. The GBC 2080WFt has a maximum temperature of 300°F to handle specialty products such as AccuShield, the liquid coating alternative. Mode button selects speed, pressure and heat. Master dial sets precise measurements. Pressure and mounting settings for the heat roller are automatically controlled by an electromechanical system. Extended feed table makes it easier to feed prints. Foot pedal allows hands-free operation. Built-in bi-directional manual cutter accommodates left and right-handed operators.